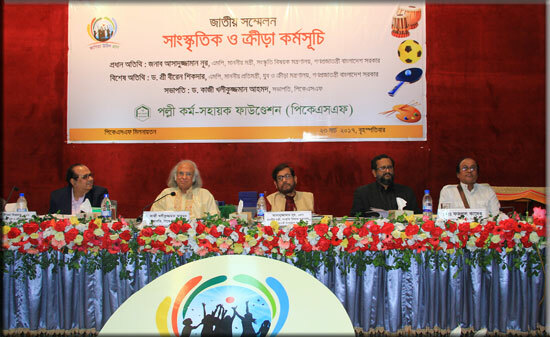 Amid festivity and a sportive mood, Palli Karma-Sahayak Foundation (PKSF) arranged a daylong national convention on its Cultural and Sports Programme on March 23, 2017 at PKSF Auditorium. 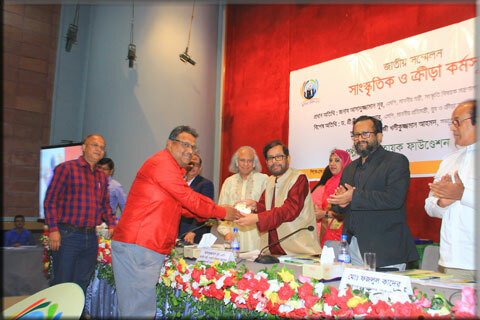 Mr Asaduzzaman Noor MP, Hon’ble Minister for Cultural Affairs, graced the programme as the chief guest, and Dr Shree Biren Sikder MP, Hon’ble State Minister for Youth & Sports, as the special guest. The convention was chaired by Dr Qazi Kholiquzzaman Ahmad, Chairman, PKSF. Many government high-ups, officials of PKSF and its Partner Organizations (POs), officials of development agencies, journalists and other stakeholders attended the convention. 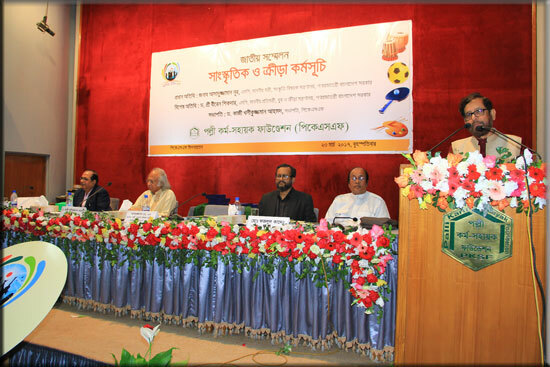 The convention started with a presentation by Mr Md Fazlul Kader, Deputy Managing Director (Programme) on the PKSF’s Cultural and Sports Programme. 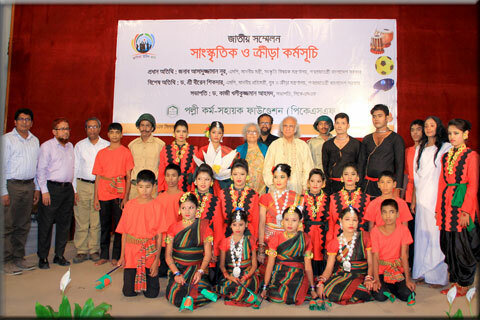 Following that, a documentary film on PKSF’s Cultural and Sports Programme was displayed. 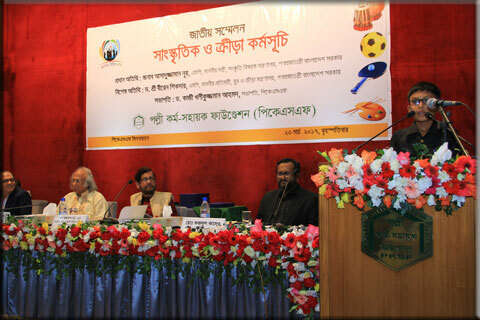 The chief guest Mr Noor, in his speech, stressed on the importance of cultural and sports activities of school-going children. 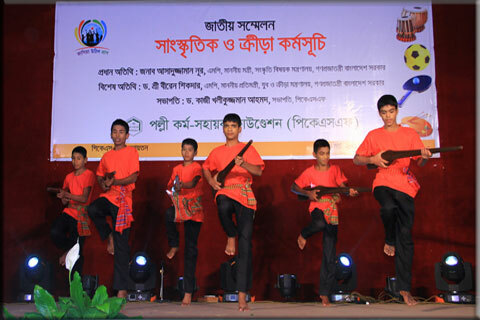 He said that nurturing such activities can create a good citizen in future Bangladesh. Dr Sikder, the special guest, said that sportsmanship shapes our mentality towards a prosperous life and well-being of all. Representatives from the POs and young participants from schools under the PKSF programme shared their experiences in the convention. Later, the chief guest awarded the Programme implementing POs with crests for successful implementation of the Programme at the field level. The chair Dr Ahmad said that cultural and sports activities teach us to stand beside one another in times of need and these activities can lead the nation towards making a just society. Dr. Ahmad also moderated an open discussion among the participants. 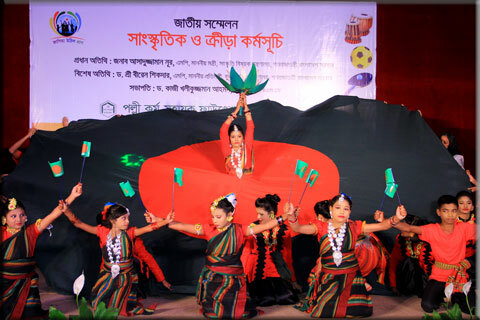 A colorful cultural show performed by youths, coming from different parts of the country, made the closing of the programme very delightful.